It’s been a long time coming, but San José’s Three Creeks Trail is now open. I’ve walked it twice now, and it’s a nice, very short little walk. I very much remember that train whistle blowing. 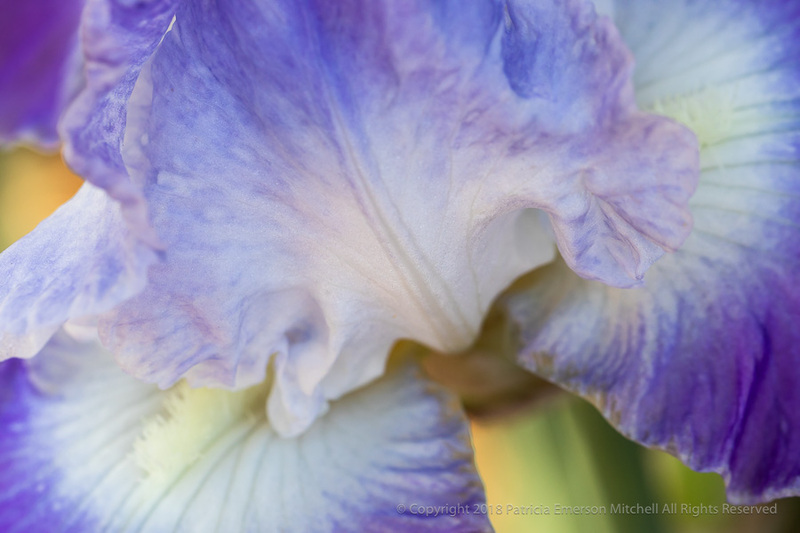 At one spot there is a lovely iris garden. 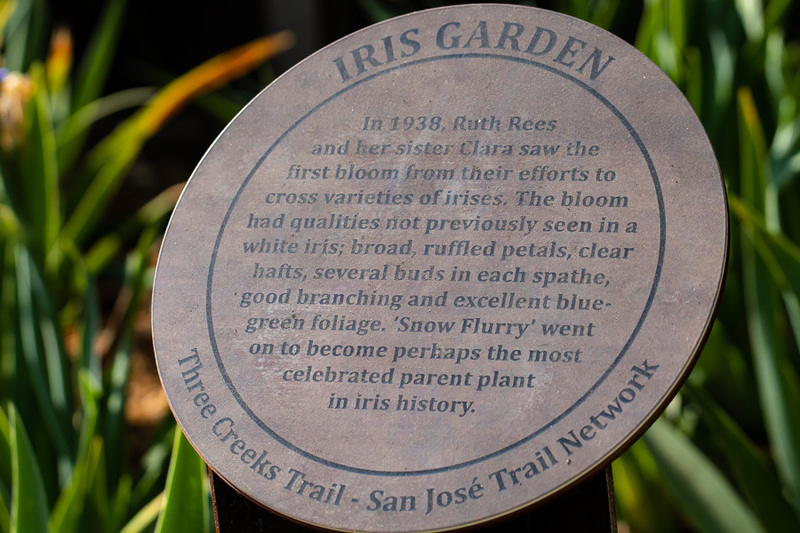 Here is the sign about the garden, but what it doesn’t tell you is that the garden had been in our area prior to this trail being put in. At some point the large plot of land was sold and a number of large homes went in, so seeing that these iris are now on the trail is a wonderful thing! Below is my first shot from today’s walk. It was made before I remembered I was wearing my very dark sunglasses. So it goes. it’s not exactly what I wanted, but it’ll do!